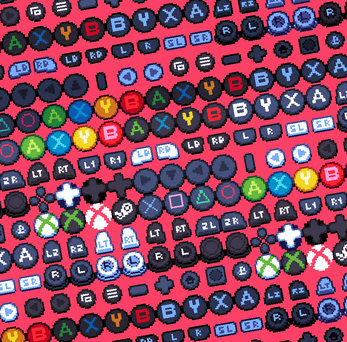 Pixel Controller Buttons is a pack of Xbox one, Xbox 360, Ps4, Nintendo Switch and Steam controller buttons. 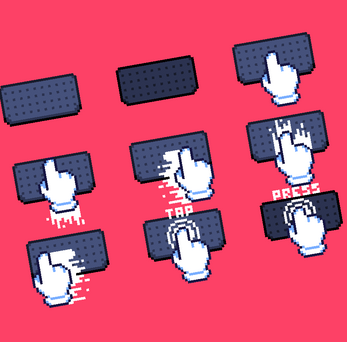 The buttons are 16x16 pixels, And the swipes are 32x32 pixels. Xbox one and 360 controller buttons. Follow me on Twitter for more updates. You can use the pack however you like. Credit not mandatory but appreciated. If you want to contact me my dms are open on Twitter and I have a Discord #Hyohnoo4240 . Great! I just sent a friend request via Discord. ...looks like nice qualtiy :) comes with aseprite files, pngs and psds i would kindly ask for pngs of every button on its own? it would be convient for making quick protoypes. Any plans for Steam Controller? great pack definately woth the money!